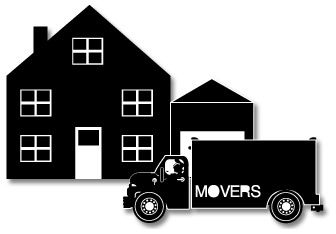 Are you moving and wondering how to go about a change of address with USPS, here's some simple tips and reminders. 1. Temporary vs. 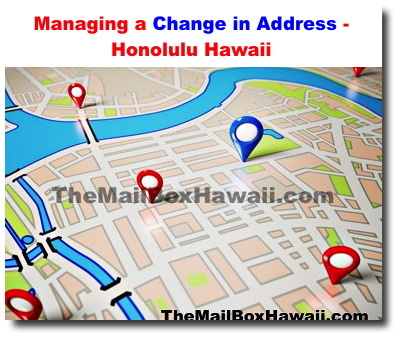 Permanent change of address - With a "Temporary Change of Address", you can have your mail forwarded to a specific address for a certain period of time. By paying a fee, you can also have all of your mail forwarded to a temporary address in one batch on a weekly basis. A "Permanent Change of Address" would change your address permanently if you are moving to a different address. Determine which applies to you and select your course of action. 2. Permanent Change of Address: online, Phone or PS Form 3575 - There are 3 simple ways to go filing for a Change of Address request. You can either go online to USPS.com or call 1-800-ASK-USPS (1-800-275-8777). You can also go to your local Post Office and complete the PS Form 3575 Change of Address in person. Note that Online and phone requests have a $1 verification fee. 3. Temporary - Mail can be temporarily forwarded from a minimum of 15 days to a maximum of 12 months by selecting "Yes" on a PS Form 3575 question "Is this a temporary move?" Be sure to provide a date for USPS to stop forwarding your mail. 3. Remember, a Change of Address (COA) request must be submitted by the addressee (or someone you have authorized to file on your behalf).